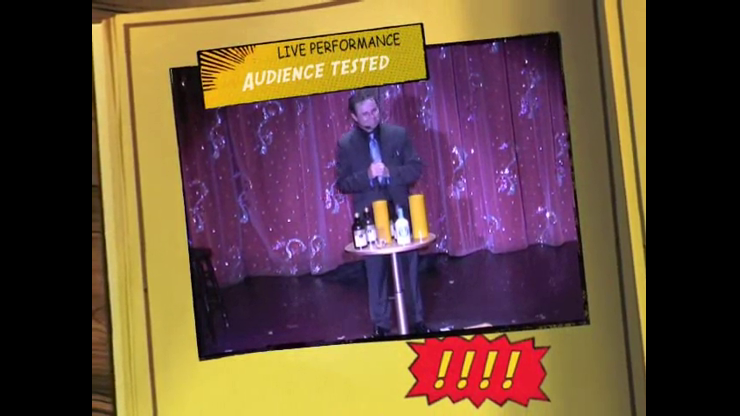 Direct from his current act, Paul Romhany releases his Comedy Multiplying Bottles Routine. A hilarious routine from start to finish, with a few surprises along the way. This package includes the complete performance and instructional DVD, plus the audio CD with a male and female backing track needed for the Romhany routine. You explain to the audience that you subscribe to a mail order magic company that sends you magic lessons on a CD. You received one today and brought it to show the audience how you learn your tricks. You play the CD and start the lesson. Bottles start to change places with a glass, multiply and change color until you end up with a table full of bottles! This routine is designed to use any standard set of nine multiplying bottles. 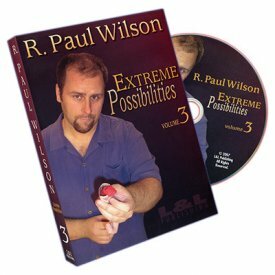 Paul shares his years of experience performing this routine from cruise ships, theaters to cabaret, and includes additional ideas on the best tube covers to use, how to make your bottles look good on stage, the best type of table and step by step instructions on how to perform this routine. No more worrying about what to say or which tube to lift - you just follow along to the voice over and let the fun begin! Note: Use a standard set of nine multiplying bottle - sold separately.